Doing a 5’s activity with your project team is a great team building activity to improve everyone’s productivity. 1. Sort – this means go through and get rid of things you don’t use. You also can remove those items in your work space that you don’t need right at your finger tips. 2. Set in Order – make sure everything you need for your day to day work is in the places right where you need them. 3. Shine – set up your workspace so it’s clean and is easy to keep clean. 4. Standardize – people who follow standard routines with starting and ending their days tend to be more productive. Distractions are the biggest productivity losses so having a standard process to shift into a working mindset can create a more productive environment. 5. 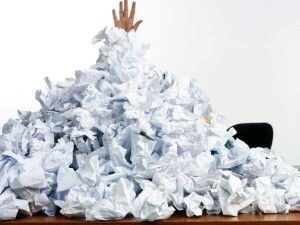 Sustain – entropy is a natural state of affairs (it’s how our offices get so chaotic in the first place). Taking a few minutes every day to keep your workspace tidy and organized pays off in big productivity dividends long term. when we move to new office space. 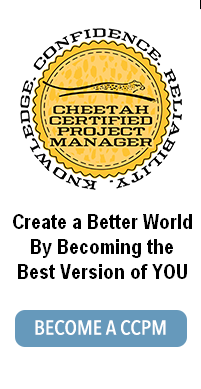 Cheetah students love the 40 hour online course PM of Spring Cleaning where they learn how to implement the 5 S strategy in either their home or their work environment to improve both their personal or professional productivity. This entry was posted on Thursday, February 25th, 2016 at 2:33 pm	and is filed under High Performing Business. You can follow any responses to this entry through the RSS 2.0 feed. Both comments and pings are currently closed.